In the midst of all the super phones we’re eagerly watching pop out of every manufacturer’s hat, it’s nice to take a little breather by enjoying some of the cool gadgets that play the sidekick role. If you remember the Sony Ericsson LiveView you’d know that it was an Android-driven wristwatch of sorts that could show you notifications, wake you up and let you control your smartphone without taking it out of your backpack. Well it appears that we are just about to see the official announcement of its successor. 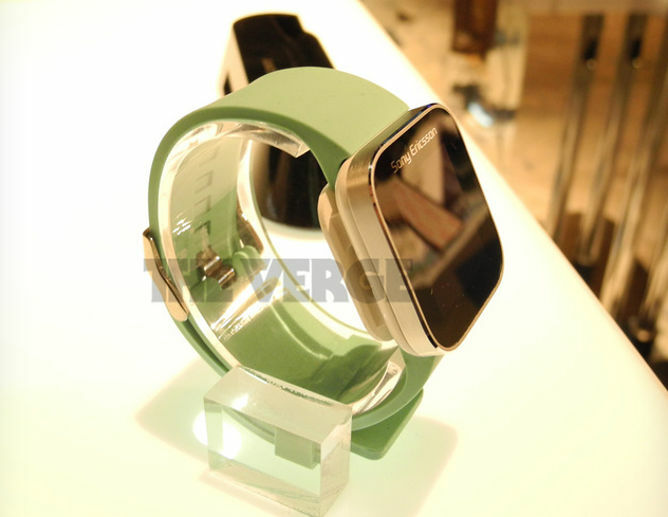 The guys over at The Verge have spotted a Sony Ericsson-branded wristwatch at CES that seems to offer a detachable mechanism in addition to the aforementioned functionality. We’ve yet to hear official word from Sony (Sony Ericsson’s new alias) about the gadget and learn if it will be called LiveView 2. The original LiveView didn’t exactly sell in the millions, but maybe this one will do better when it hits the shelves.